RANGERS under-18s are into the SFA Youth Cup final after a polished 3-1 win away to Aberdeen at the Balmoral Stadium today. 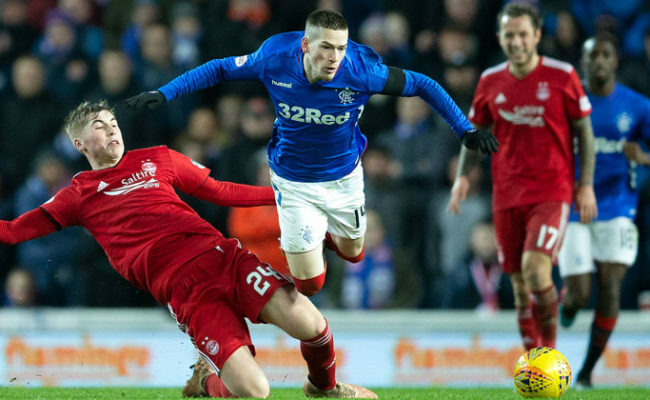 It was a lively start to the last-four tie, the Dons breaking the deadlock through Connor Barron before Ciaran Dickson found the back of the net at the second attempt to equalise for Rangers. Just before the interval, the Gers took the lead for the first time through Josh McPake’s impressive solo goal and in the 73rd minute substitute Nathan Young-Coombes made it 3-1, finishing well with a delightful chip through Dapo Mebude’s assist. Many of David McCallum’s selection in the game, played at the new home of Highland League outfit Cove Rangers, were part of the heroics at the Al Kass International Cup over in Qatar, where Kai Kennedy’s penalty won them the tournament after a shootout against Italians AS Roma. 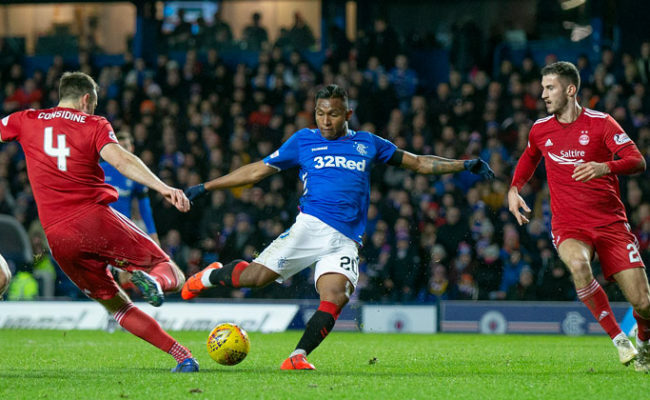 It was a domestic setting for the youngsters in this one and, despite it being notably colder than Qatar to say the least, it was just as important a cup fixture for the Gers in a game that was always going to be fiercely contested. Aberdeen took the lead after just five minutes at the Balmoral Stadium. A long ball was bouncing and was misjudged by Gers captain Daniel Finlayson, allowing Kevin Hanratty to take advantage and run into the box down the left side. He squared the ball for team-mate Barron who forced the ball into the back of the net. Aberdeen were looking threatening in the early stages but Rangers got themselves on level terms shortly after. Mebude did well to win the ball back near the halfway line, feeding to McPake. The wide player then caught Dickson’s run into the box, the midfielder seeing his initial shot saved before striking home the rebound for 1-1. The game was being played at a quick pace with both teams very competitive. On 25 minutes, the Gers tested Aberdeen stopper Archie Mair through McPake’s fierce shot. Ben Williamson collected the ball and drove ten yards in the middle of the park before playing a superb ball through but McPake couldn’t beat Mair. McPake did beat Mair just before half-time though as slotted home to put Rangers ahead in the game. The youngster received the ball around halfway into the Aberdeen half and drove towards the box with a burst of pace that the defender couldn’t handle. He made his way into the box and just as the ‘keeper advanced to block him, McPake slotted home with composure into the far bottom corner. McPake had an opportunity midway into the second half. A cross from Mebude resulted in a Dons defender fluffing his lines in the danger area with the ball falling to the unmarked McPake at close range – but the forward’s strike at goal was saved well by Mair and out for a corner. Young-Coombes came on to replace earlier scorer Dickson after 66 minutes of the semi-final with Rangers still in the lead and looking pretty comfortable without really looking like adding to their lead with the exception of McPake’s opening. Then a moment of top quality from Rangers to make it 3-1 with 73 minutes on the clock. Mebude, who had looked dangerous and lively all day, held onto the ball well before playing a lovely pass into Young-Coombes. 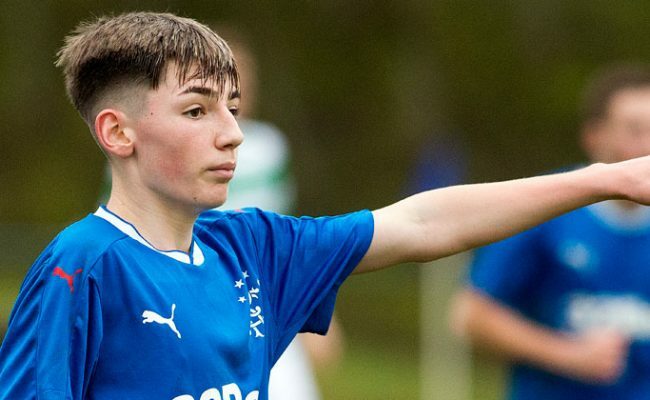 The 16-year-old signing from Chelsea only had one thing on his mind and as Mair came charging out, he chipped the ball over the Reds goalkeeper to make it 3-1 to Rangers. Immediately after that goal, McCallum made a change with James Maxwell coming for Nathan Patterson before a few minutes later there was game time for Joao Balde as he replaced Mebude. McPake and Williamson all had chances to extend Rangers’ lead further in the closing stages but were denied by Mair, with Kyle McClelland seeing a curling effort from 15 yards go narrowly over the corner of the crossbar. 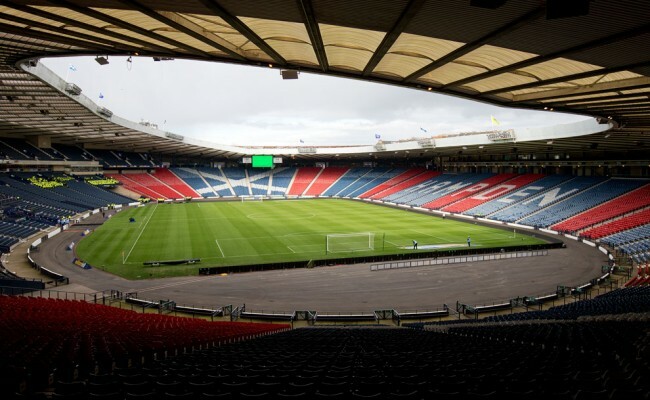 Rangers finished the game as comfortable as they had been for the vast majority of the game as they progress to the final at Hampden and another chance at lifting silverware this season. 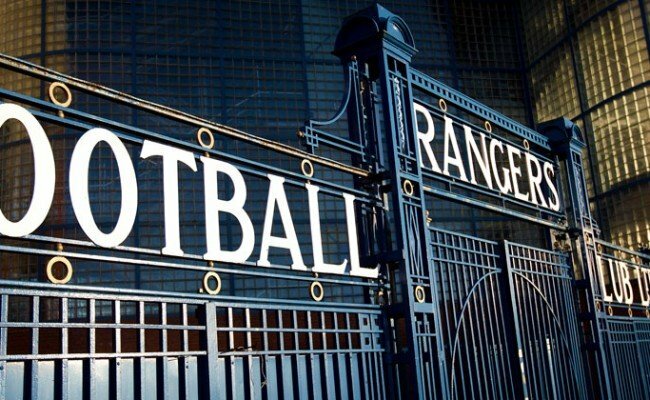 RANGERS: Nicky Hogarth, Harris O’Connor, Nathan Patterson, Murray Miller, Daniel Finlayson (c), Kyle McClelland, Josh McPake, Ben Williamson, Dapo Mebude, Ciaran Dickson, Kai Kennedy, James Maxwell. SUBS: Brian Kinnear, Chris McKee, Matt Yates, Kieran McKechnie, Joao Balde, Nathan Young-Coombes.